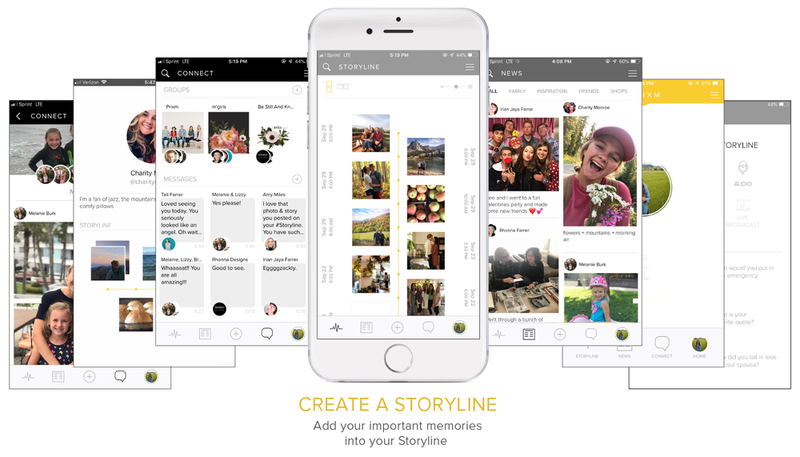 The new Social App where you can authentically share your story and connect with those you care about. Powered by your stories and real connections, PRIXM is a “happy” app focused on you. We reject algorithms, “likes”, ads, and selling of personal information; our only focus is to empower you to document your life, and create communities that you care about. We are more than a social media app. We are a movement taking back the power of tech to enable real connection through stories. There is power in your story. With the new Storyline feature, you choose how to tell your story: what format, who to share it with (including a personal journal feature! ), and what day and time stamp you want on your memory! Your Storyline will help you organize and visualize your memories for you, your family, and your friends in a way that matters. 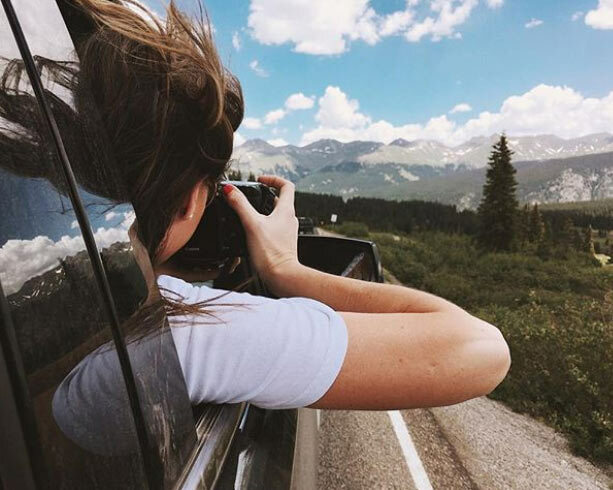 We make it easy to document the moments that matter, and help you share your story with those you care about. We create meaningful connections through sharing stories with others. 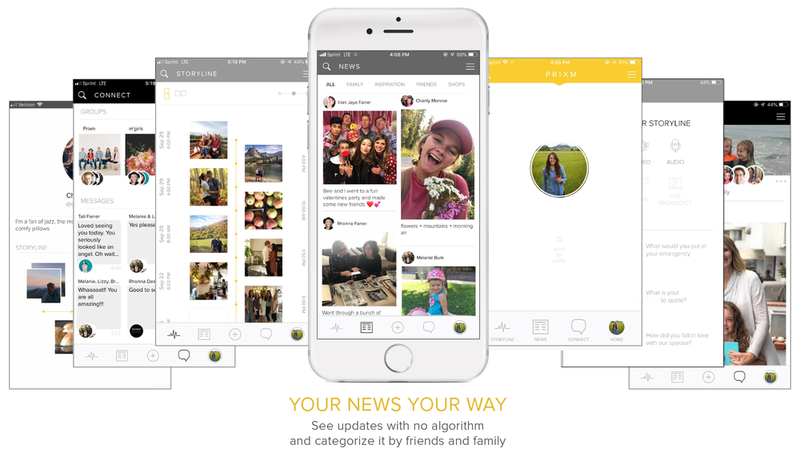 In our Newsfeed, you’ll see the stories your family and friends are sharing, all in chronological order and with no ads. You’ll love being the curator of your Newsfeed with a brand new way to categorize what you see. Goodbye lost posts, unwanted ads, and a contrived feed, and say HELLO to true connection with those you care about. Meaningful communities change the world. Our new Groups and Messages features give you the power to share links, stories, video chat and photos, in a safe and clean environment. The Group feature on PRIXM empowers you to have powerful, connective communities whether for your family, friends, or businesses. With the beautiful interface, and intuitive functionality, you’ll quickly see why this feature on PRIXM is one of our favorites! Our purpose in creating PRIXM was not to become the next social media moguls. 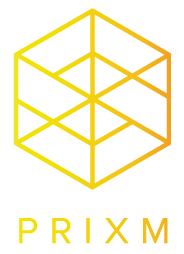 PRIXM was to empower individuals and communities. As parents, business owners, and friends, we’ve been deeply concerned with the effects of traditional social media. To help combat this, we’ve partnered with THE NEW NORM, a non-profit that educates communities on the harmful effects of social media, and empowers them to create true connection. Prixm gives you back peace of mind, time, and control as you share your story and connect with those you care about. We can’t change the future of social media without you! Download the app, tell your friends, and sign up for our newsletter! MORE THAN A "SOCIAL APP"
HOW DO YOU SAY OUR NAME? GLAD YOU ASKED! IT’S PRONOUNCED: PRIZ-UHM.